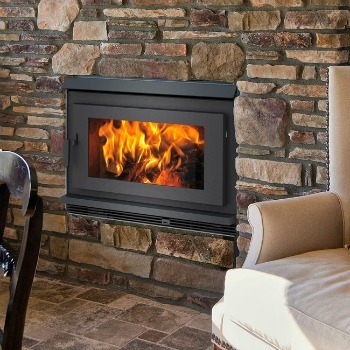 FP30 | Pacific Energy Wood | EPA Fireplace lets you heat large spaces with the reduced footprint of a wall-mount fireplace. This large wood fireplace delivers the best of conventional wood heat, with a modern look. In addition, the FP30 is handcrafted with a floating firebox of heavy steel, a high capacity baffle system, and extended heat technology. 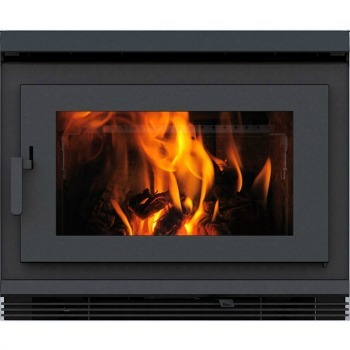 Most of all, this model is designed to provide a lifetime of efficient wood heat. This fireplace’s clean lines and a big viewing window meet the highest expectations for function and design. *All measurements and colors are approximate. Contact Bare's Stove and Spa for details. Specifications may change without notice. Please note Bare's strives to update manuals and information as they become available. These are for reference only; the latest documentation by the manufacturer takes precedence. Please visit Bare's for color options, dimensions and additional information. If the project is outside of Southwestern Montana please visit the Pacific Energy site for dealers that may be near your area. Bare's may only sell these products bought and picked up from our store locations. Please understand we are unable to ship, sell, deliver, install, service or provide warranty for items outside of our area.